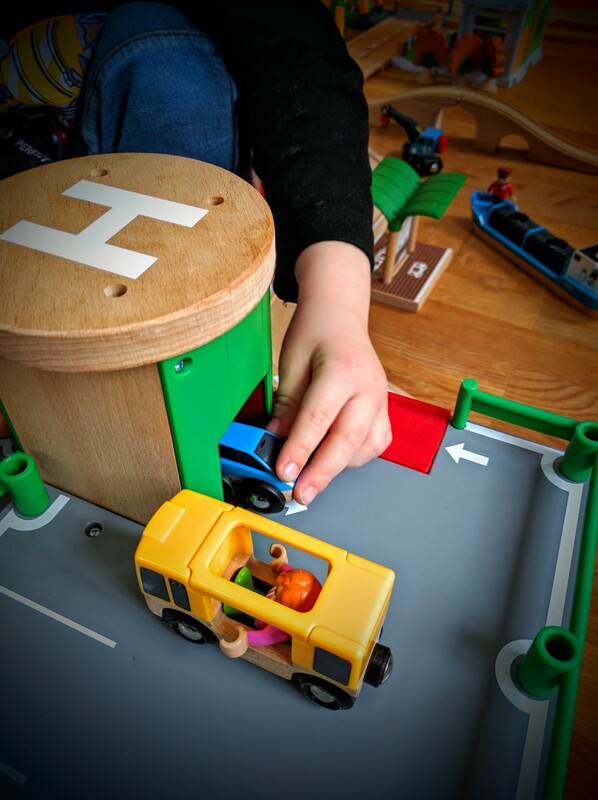 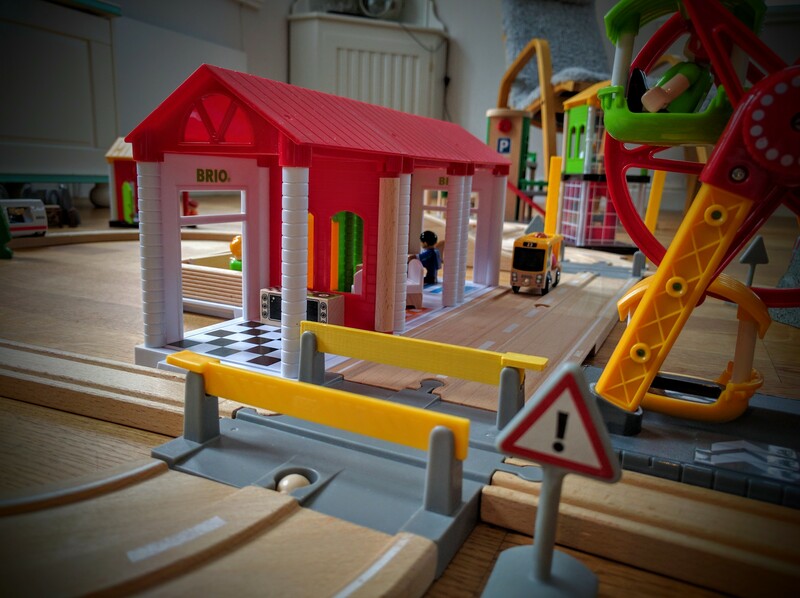 I have to admit, when I first heard about the latest release from Brio – the Brio Village – I was sceptic. 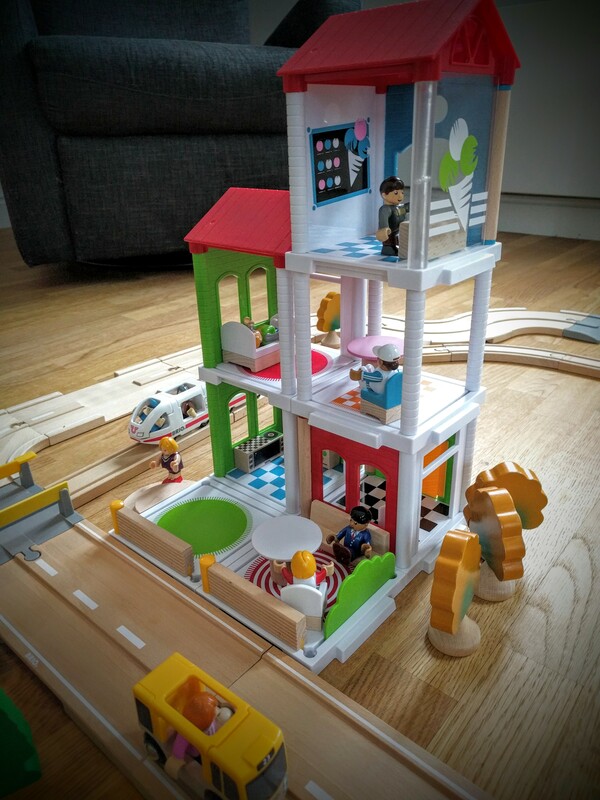 How would big modular houses adapt to the traveling universe of the god ‘ol world of Brio? 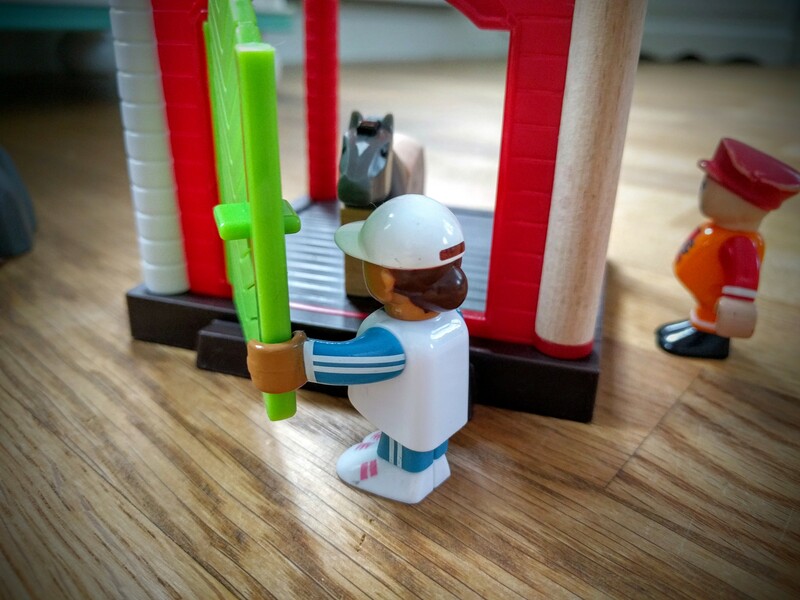 Well the set blew me and my kids away. 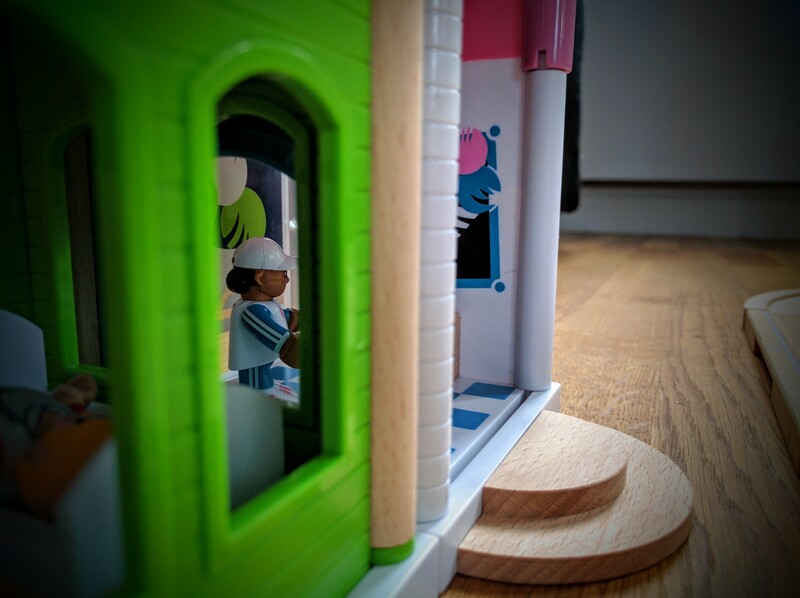 The Village is really the icing on the cake. 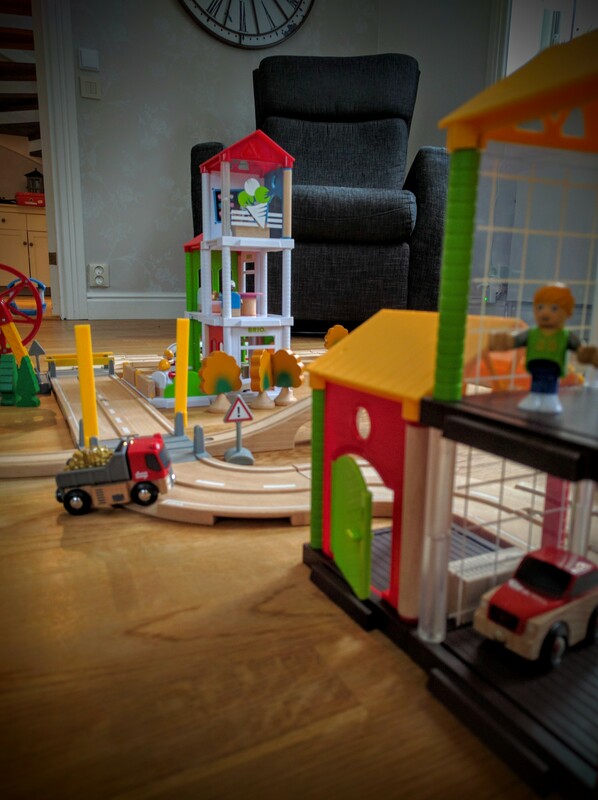 Now the rail and roads are accompanied by houses and the metropolitan feeling is palpable. 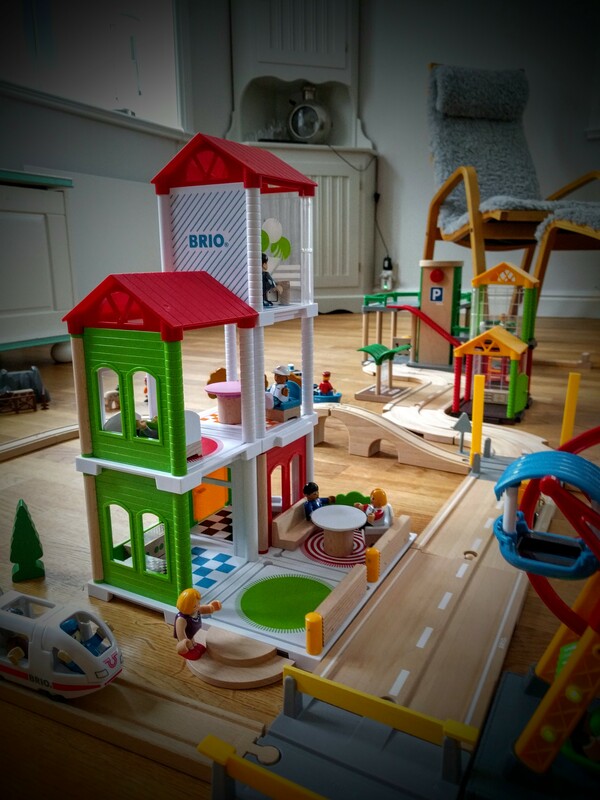 The way Brio created the modular houses is at first sight not that appealing with the square feeling (the height is the same as the length and depth) but once you understand that you can connect the pieces in all directions and create new buildings just as you would do with the rail and roads it’s so spot on – Brio has really made a modern classic! 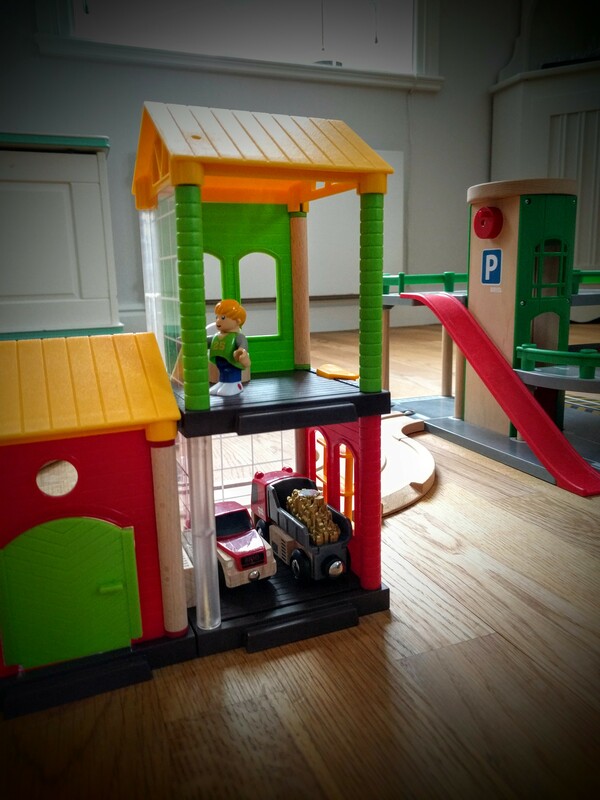 If you’re a kid you’ll turn the ice cream shop into a garage, a barn or a hospital. 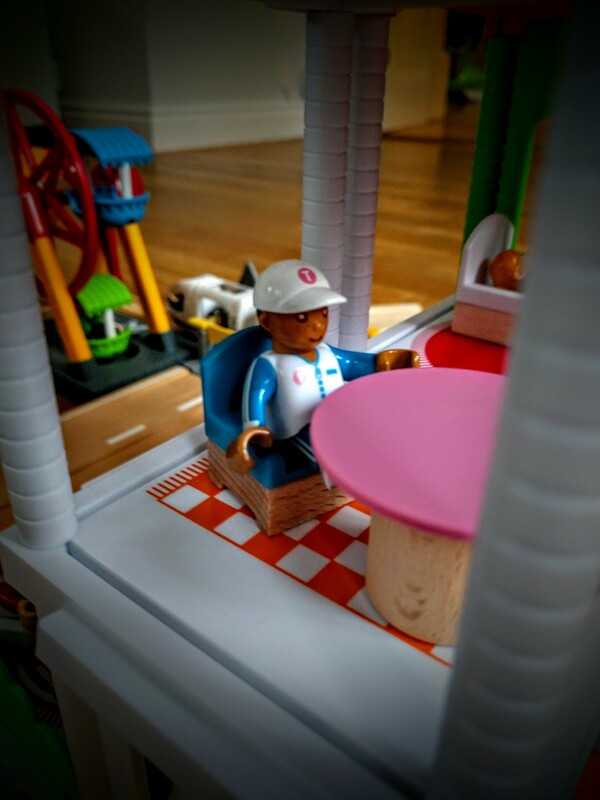 Since the colors chosen by the manufacturer is all-purpose you’ll get away with anything. 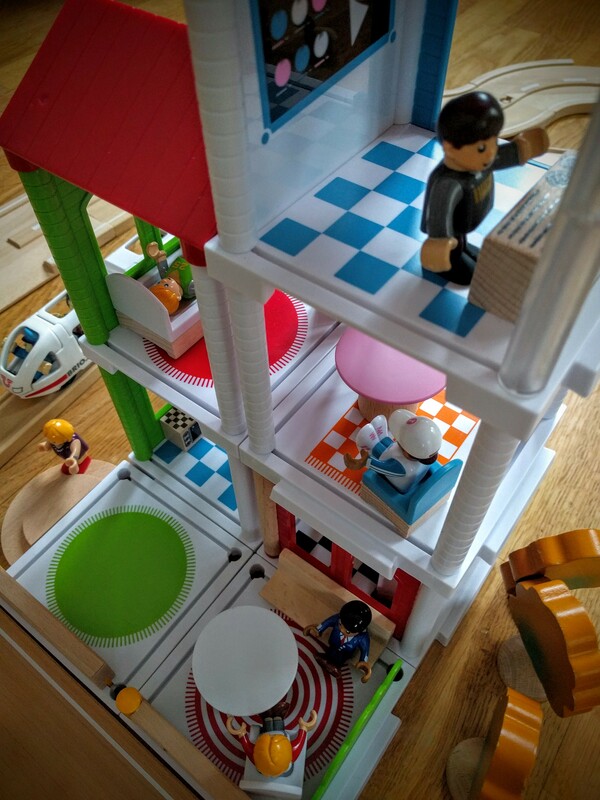 The floor, roofs and walls are really well made and the snap in building process was understood by my four year old without any guidance. 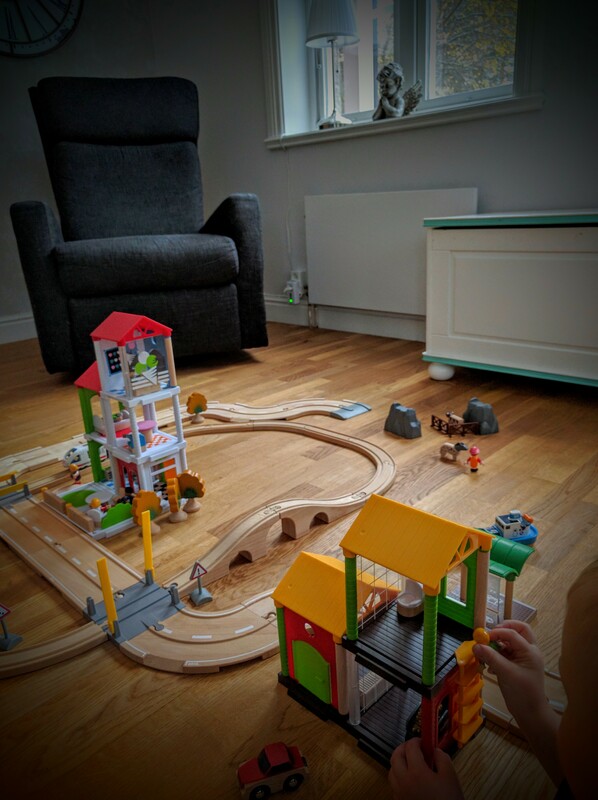 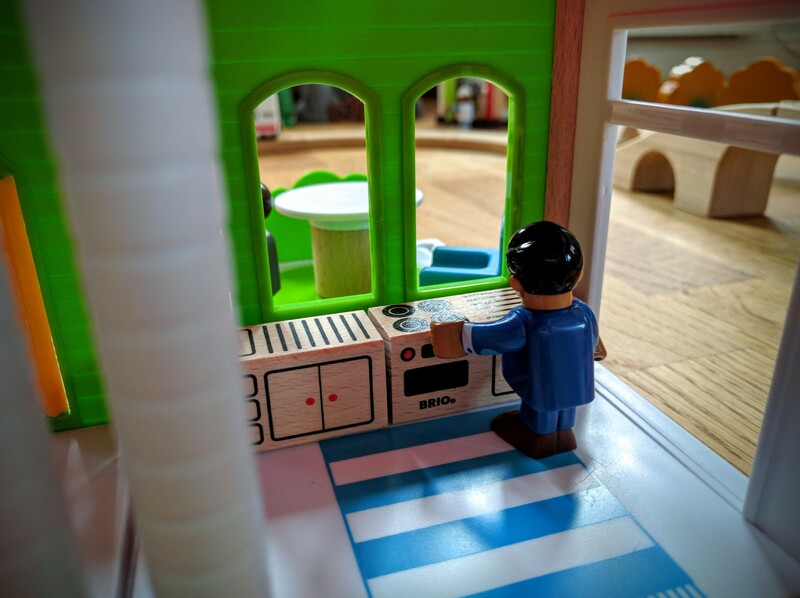 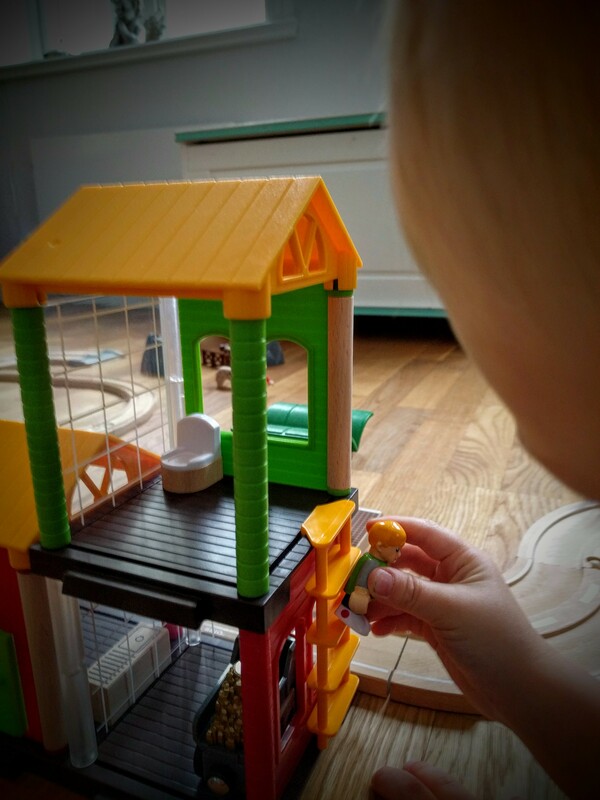 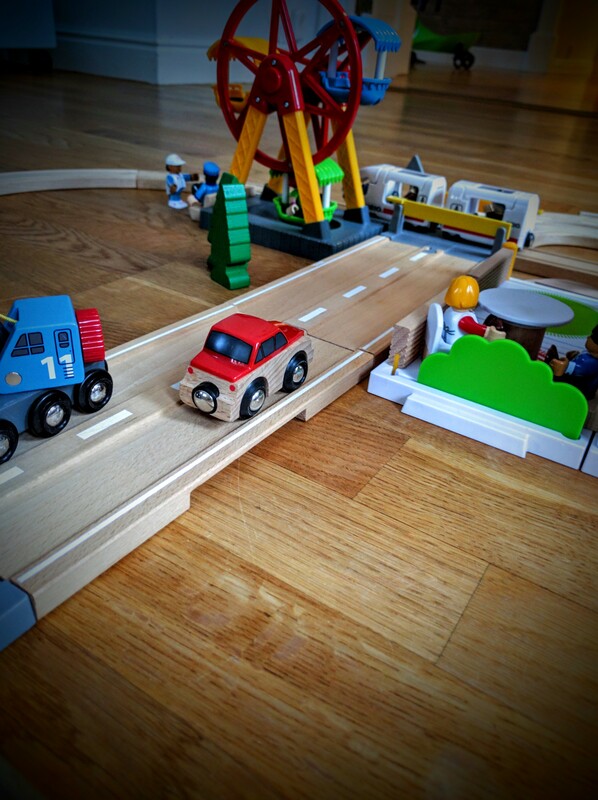 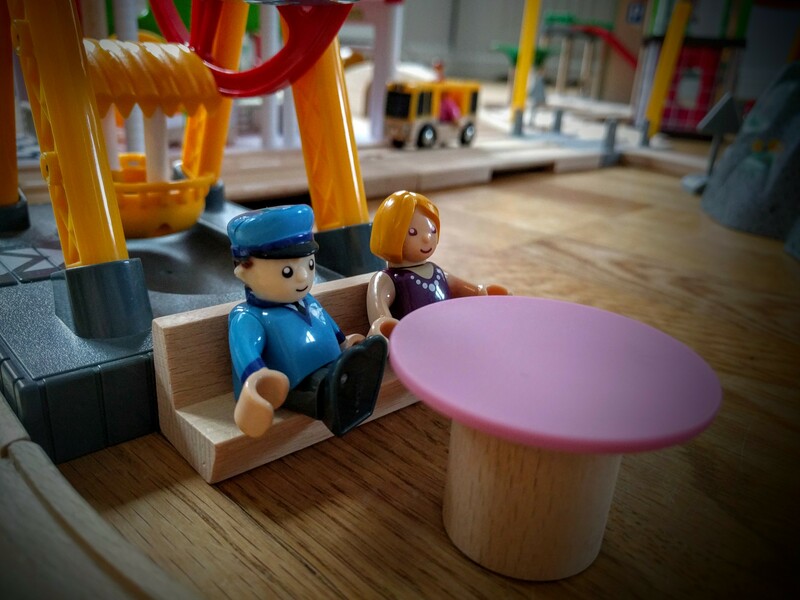 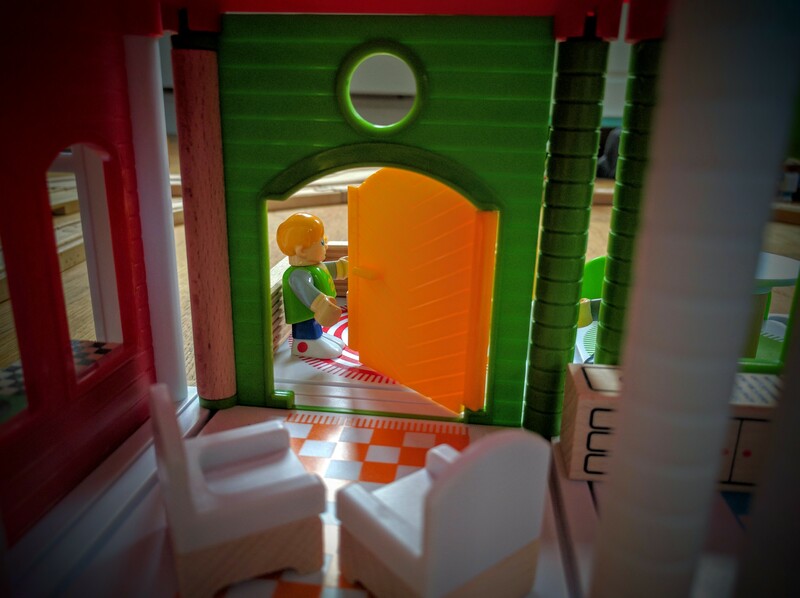 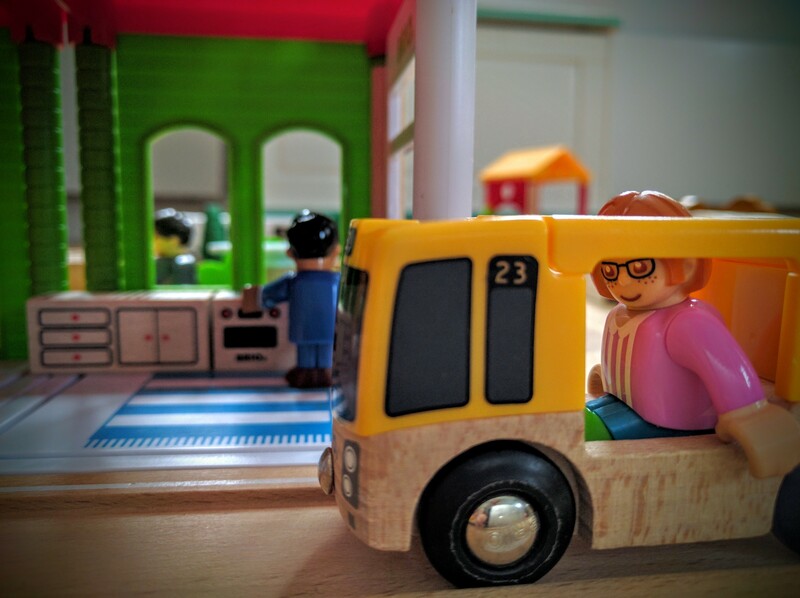 A reflection that I got after watching my kids play with the sets is that I really believe that this addition will make the wooden train set last longer into the childhood since the houses work a bit more like a doll house and the older the child get, the more life like the game play becomes. 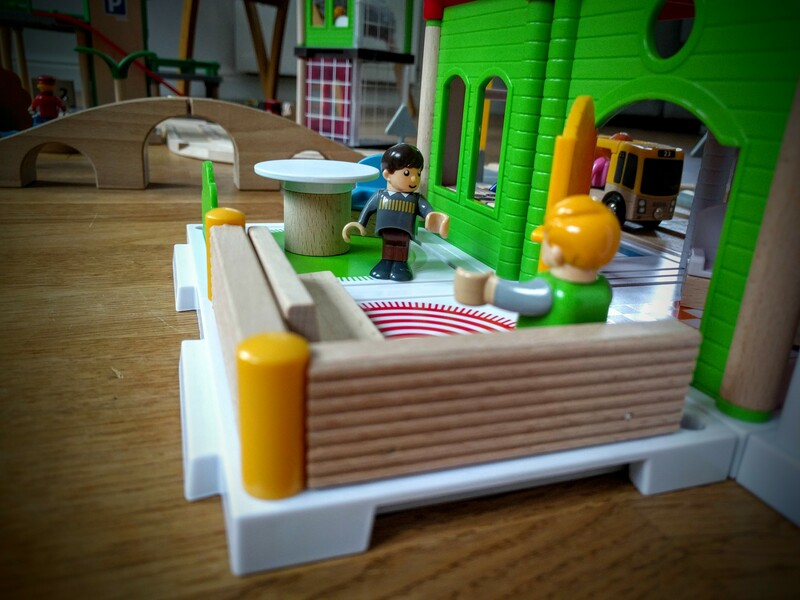 The children will role play things from their everyday experiences and this is where the new Village addition just make sense. 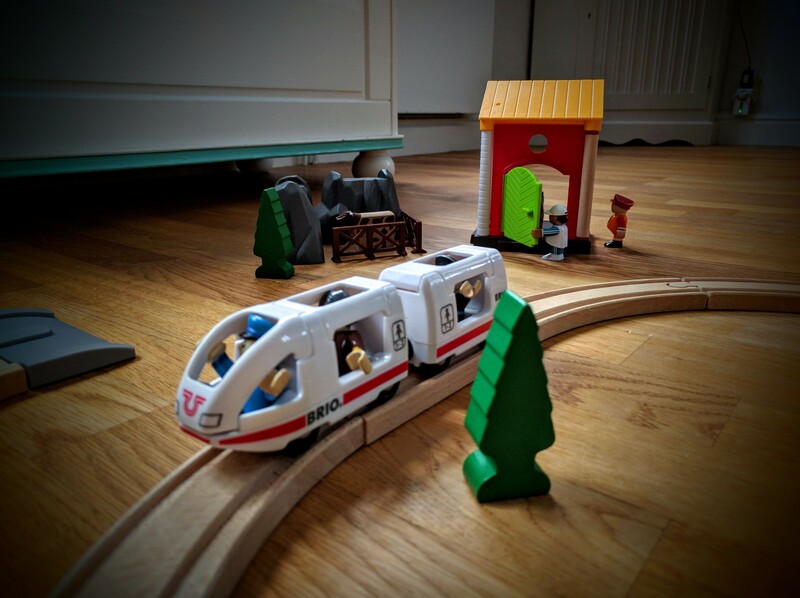 I expect Brio to add even more types of buildings and scenery to this concept. 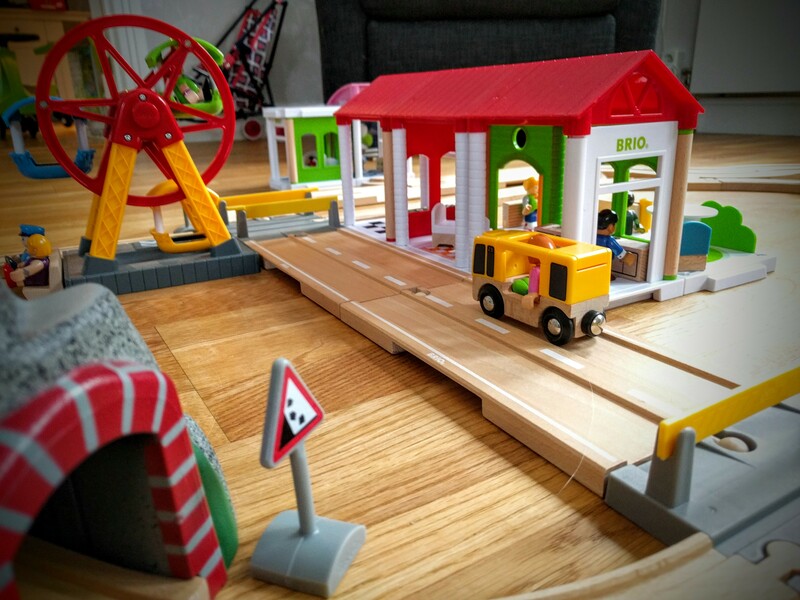 Some things I miss from this release is a super market together with a flat car parking lot, a small ramp (kind of like the steps seen in the picture below) for the cars to go up if the house is used as a garage, and finally I wish Brio would re-release the classic “Fix-it Shed ” as a modular Village building together with a working lift for trains or cars. 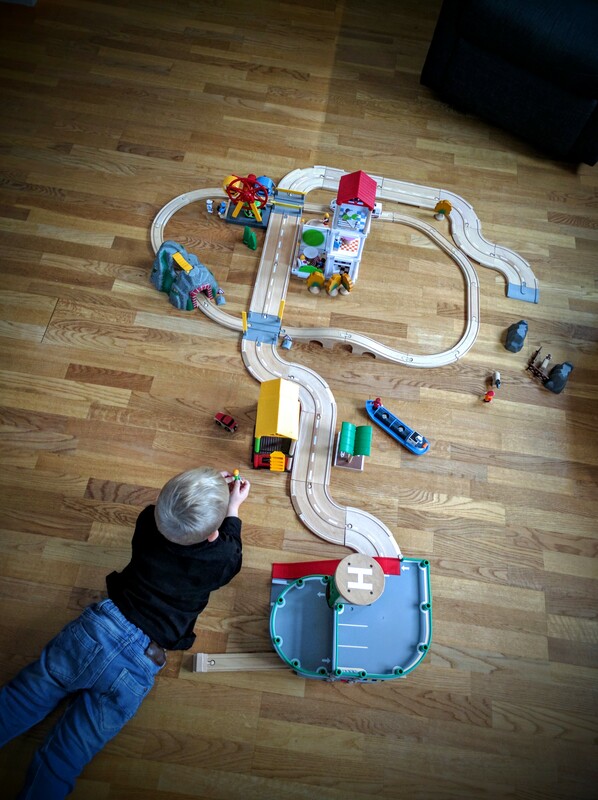 This time I would like the building to be a pass through type to let the kids fix the entire train without having to back the train out. 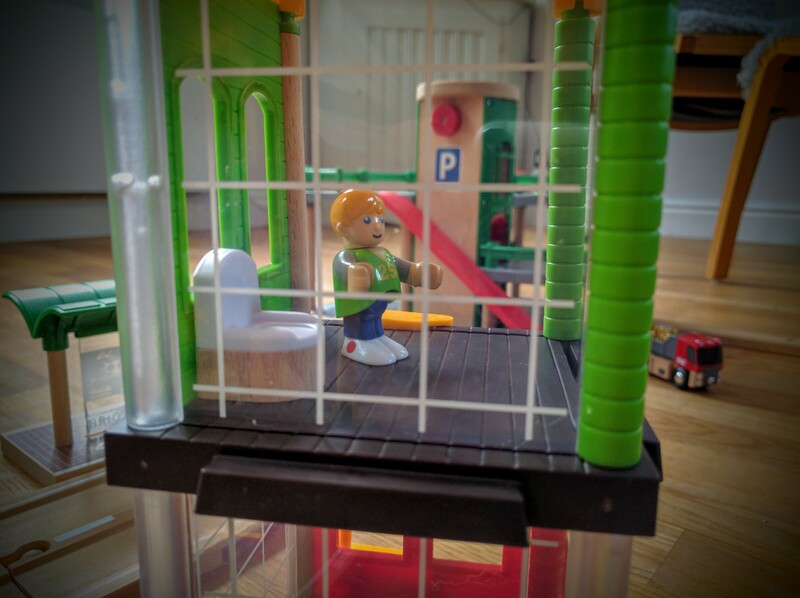 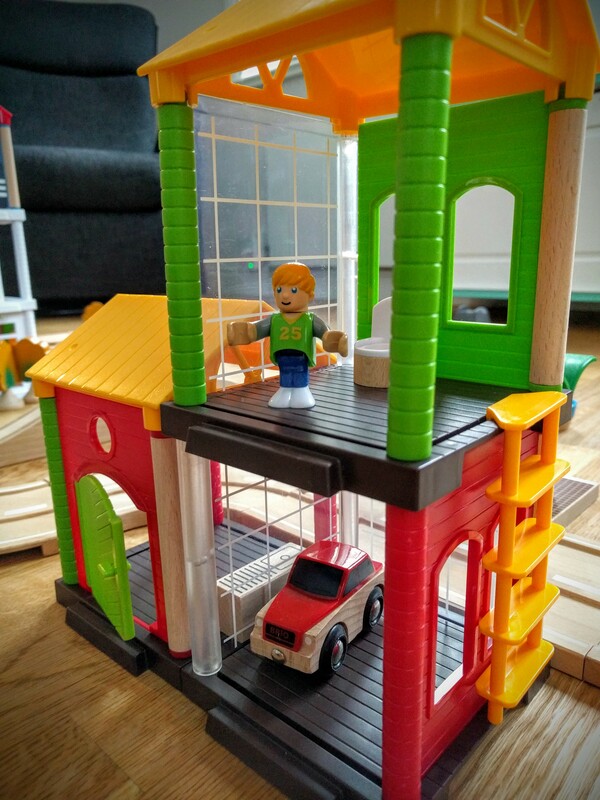 All in all, Brio really surprised me with this new “build your own house” concept and I believe it to be a great investment for generations to come.